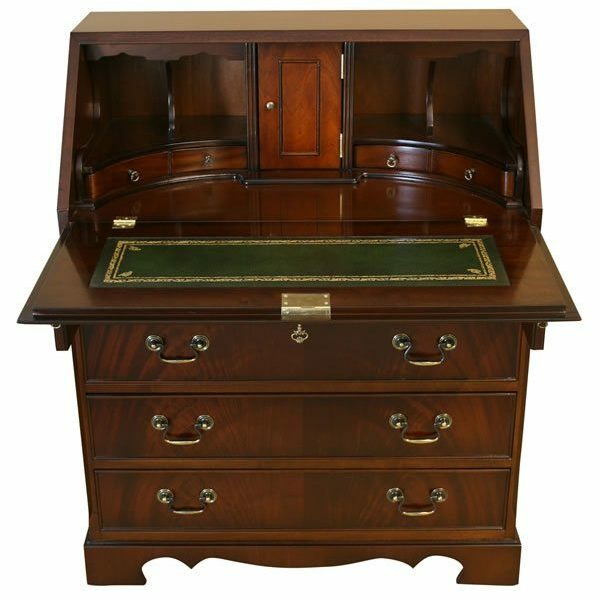 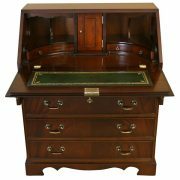 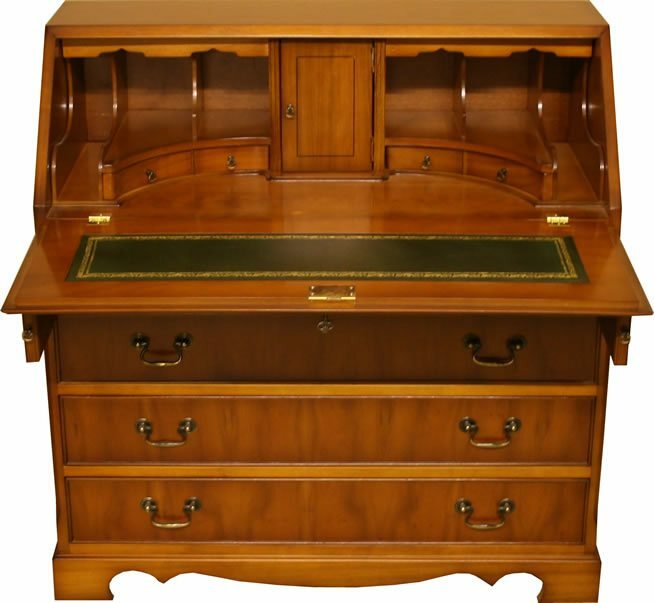 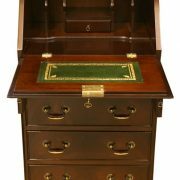 Southern Comfort offers a full range of reproduction Bureaux in Mahogany or Yew finish with the choice of bookcase top if required. 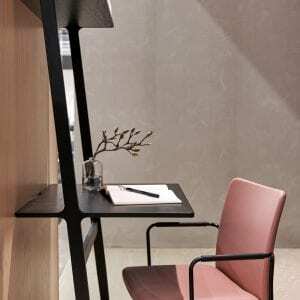 The bookcase has bevelled glass lockable door(s). 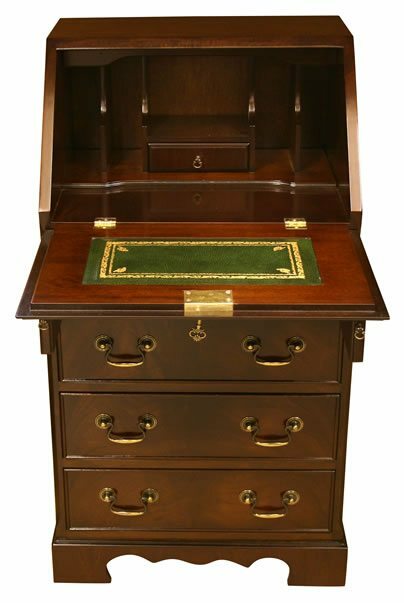 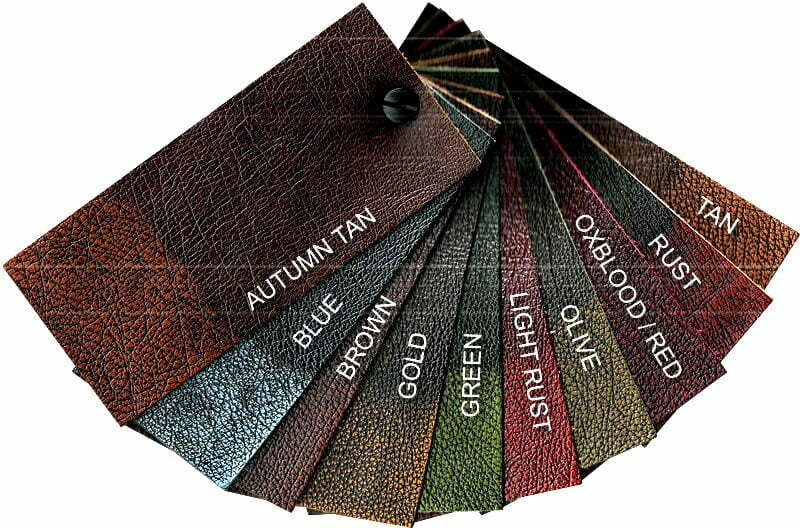 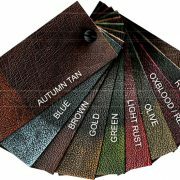 All of our Bureau flaps have Leather tops that are leathered using the same leather as we upholster our Desk chairs with, for a perfect match and quality finish. 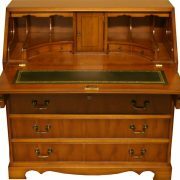 Our Bureaux are traditionally handmade in Englan.